As part of the visual research carried out for my MA, a collaboration and residency was negotiated with the National Trust at Barrington Court, Ilminster in Somerset. 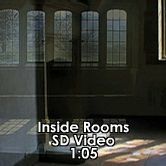 Barrington is a fully restored, but completely empty, 16th century manor house and using time-based media I set out to find something inexplicable or fascinating hovering in the gaps between material and spiritual moments. Some initial timelapse clips were merged but I felt this did not articulate my feeling about the space. 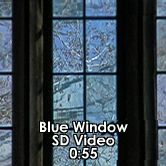 Drawn to the distorted hand-made glass in the windows, I considered the view from inside to outside as analogous with the affective boundary encountered between a personal interior world and exterior ‘outside world’ (often experienced as ‘other’). Distortions in glass act as ‘lenses’, suggesting our view of the world as being somehow ‘outside’ and different. However, the ‘invisible’ liquid glass is a permeable membrane between worlds, where insides and outsides are reversible and negotiable. Making my process accessible and engaging with the public, I also investigated the gallery and staircase spaces. Using barn owl feathers suspended by thin thread in the room at the top of gallery, I created ‘Flight Suspended’ as a metaphor for contemplation and thinking-space. 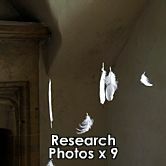 I later made video works using feathers drifting down the staircase.